Here find information about Sparta Township property taxes. 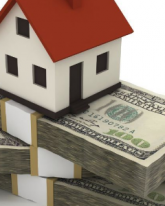 Assessed Value: This value is half of the fair market value of your property. This value changes each year based on the expected sale price of your property as determined by the assessor. The assessor studies groups of actual sales in neighborhoods, taking into consideration the description of your property (land value, building age and size, etc. ), sales studies from Kent County, and State of Michigan guidelines. In February of each year, property owners receive a "Notice of Assessment", which states the new Taxable and Assessed Values for that year. Review this notice! If you don't understand or you disagree, please call the assessor. You may also schedule an appointment at the March hearings of the Board of Review. At the hearing, the three community members who serve on this Board will listen to your evidence about your property value, and they may change the assessor’s valuation. Taxable Value: This value is used to calculate your tax bill. This value increases each year by the inflation rate (as determined by the State Tax Commission), but not more than 5% and not higher than the Assessed Value. The value of new construction is also added. If a property is transferred to a new owner, the Taxable Value is ‘uncapped’ – made equal to the Assessed Value. Please check the link below to visit the BS&A website, where you can view public records showing property tax and assessments on Sparta Township properties. Your tax bill is calculated by multiplying the Taxable Value (divided by 1000) and the millage rates, plus a 1% administration fee.